1 x Steam mop unit, 1 x Handle, 2x microfibre pads, 1x carpet glider, 1x cooling tray, Filler cup. With an 8m cable, clean further without the need to change sockets as often. Attach your pad along with the carpet glider to breathe new life into your carpets and rugs. Pasta Party Cuisson Vapeur. hier verkaufe ich von Tefal. 5L dishwasher-safe glass pot. Stainless steel steaming tray, glass lid with stainless steel rim. 1L removable water tank. Dampfgarer zum schonenden, vitaminerhaltenden Garen von Speisen Dampfgarbehälter 3 Garzeit-Timer 60 Minuten Reisschale Separate Tropfschale für Kondenswasser & Säfte . 1600W, 230V. Geprüft und getestet, voll funktionsfähig ! The unit disassembles for easy cleaning, while a hidden cord wrap allows for tidy storage. Live on the Coke side of life! We focus on making purchasing online a pleasant experience. Our sales office is located in beautiful town of Redondo Beach, California, just a few miles South of Los Angeles International Airport. Das Ersatzteil hat folgende Tnr. : 8489570. passend für Dampfgarer der Marke. Tiefschwarz DG. Original Miele. Abhilfe zu schaffen. Bei in diesem Sinne unnötiger bzw. Das Ersatzteil hat folgende Tnr. : 8221370. für Miele Dampfgarer. passend für Dampfgarer der Marke. Original Miele. Abhilfe zu schaffen. Bei in diesem Sinne unnötiger bzw. Condition is Used. Open box.never used. No more waiting for water to boil or watching the pot on the stovetop, this unit automatically cooks rice and switches to "Keep Warm" when cooking is complete, keeping food hot and fresh before serving. The VICTORIO VKP1130 Stainless Steel Multi-Use Canner is the ultimate in canning versatility. 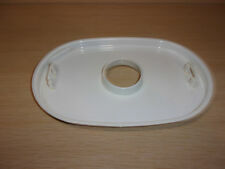 Tempered glass lid with steam vent. Victorio Kitchen Products. USE ON ANY RANGE: Flat clad bottom for even heating on any cooktop, including induction ranges. 8 QT Aluminum Pressure Cooker With Safety Air Vent/Cover Lock Flat Bottom For Uniform Heating Redesigned Euro-Styled Handles & Control Weight Instruction & Recipe Book.Ideal cooking tool for today's busy lifestyle. Meals cook to perfection in minutes - 3 to 10 times faster than ordinary cooking methods. Make delicious soups stews vegetables chicken and fish. Meats cook up fork tender and juicy every time. Durable polished aluminum construction for quick even heating. Cover lock indicator shows at a glance if there is pressure inside the cooker Handy cooking rack included Includes a 64-page instruction/recipe book. Extended 12-year warranty. Sistema Microwave Collection Rice Cooker, 87.2 oz. /2.6 L, Red. Klarstein VitAir Dampfgareinsatz Dünsten Dämpfen Zubehör. 1 x Dampfgareinsatz. DerKlarstein Dampfgareinsatz hievt Ihre VitAirLuftfriteuse auf eine neue Ebene der schonenden Zubereitung von Gemüse, Fleisch und Fisch. Dampfgarer zum schonenden, vitaminerhaltenden Garen von Speisen Dampfgarbehälter 5 Einschalt-Timer Breite: 320mm . Built in "Flavor Scenter" allows you to add your favorite herbs and spices to enhance the flavor of your food. Features a large, 3.5 quart bowl and a 7 cup rice bowl. Fast steam in under a minute. Slow cooker facility also very simple to use, attach two bowls with only one base at the bottom and place the slow cooker bowl inside. Turn on the slow cooker using the slow cooker button. Leave it to cook your dinner for a couple of hours or more. 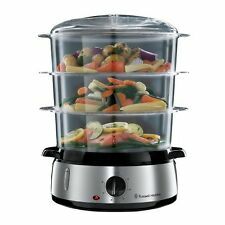 GET HEALTHY FAST FOOD - Instant steam function to cook healthy food without the wait. It’s Never Been So Easy to Cook Healthy Fast Food. Want to eat healthy without spending your entire evening cooking and cleaning?. Bosch Dampfgar-Backofen HSG636XS6. LED-Innenbeleuchtung, seitliche Langfeldleuchten, Backofenbeleuchtung abschaltbar. Dampfbacken: durch Zugabe von Wasserdampf werden Speisen außen knusprig und innen saftig. Er ist geeignet für alle Backöfen und Kochfelder außer Gas und Mikrowelle. Er besteht aus Alu - Kokillenguss. Seine Innenmaße sind B-T-H 38cm-22cm-8cm. This is a gift that was never used. Contents never removed from box. 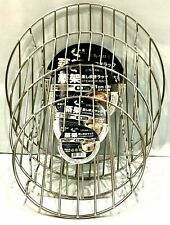 The unit provides a rice bowl and three stackable transparent baskets that make it possible to steam three different types of food simultaneously. Other highlights include a turbo steam feature that starts cooking within seconds, a drip tray for collecting liquid, as well as stay-cool handles. It has been tested and is working. CDG634AB0 Dampfgarer, Schwarz. Der Kompakt-Dampfgarer: so bereiten Sie Speisen besonders schonend zu und bewahren Aroma und Vitamine. Kompaktdampfgarer mit 4 Beheizungsarten: Dampfgaren, Regenerieren, Gären, Auftauen. See Pictures for what to Expect. Box Shows Wear. Leistung: 500 Watt Breite in cm: 29 Höhe in cm: 23 Tiefe in cm: 37,5 . Excellent condition. Does not have original box.No cracks, dings or scratches. Most (if not all ) parts of the item are photographed. FREE scheduling, supersized images. New In Open Box. Das Ersatzteil hat folgende Tnr. : 8220210. H05VV - F3G. passend für Dampfgarer der Marke. Dampfgarer DG 2650. Original Miele. CDG634AS0 Dampfgarer, Edelstahl. Backen & Kochen Dunsthauben Kühlen & Gefrieren Geschirrspülen Waschen Spülen & Armaturen Küchen & Zubehör Kleingeräte. Backofengriff aus massivem Edelstahl. Der Kompakt-Dampfgarer: so bereiten Sie Speisen besonders schonend zu und bewahren Aroma und Vitamine. Die Dampfgaren-Funktion: Gerichte einfach, gesund und schmackhaft zubereiten. Kompaktdampfgarer mit 4 Beheizungsarten: Dampfgaren, Regenerieren, Gären, Auftauen. Interne Dampferzeugung. „Maße und Einbauhinweise zu diesem Gerät gemäß technischer Zeichnung beachten“. Box is opened, in good shape with minor shelf wear. Still in the original factory plastic wrap. The instructions went missing, but you can find a copy online for free. Never removed from box. Instant Steam feature produces steam in 30 seconds. The item appears to be in used but good working condition. What you see in the picture is what you get. Das Ersatzteil hat folgende Tnr. : 8237450. passend für Dampfgarer der Marke. Abhilfe zu schaffen. Bei in diesem Sinne unnötiger bzw. Original Miele. Suitable for fish, veg and more. Used, Very Good Condition. Signs of usage with minor marks and scratches.